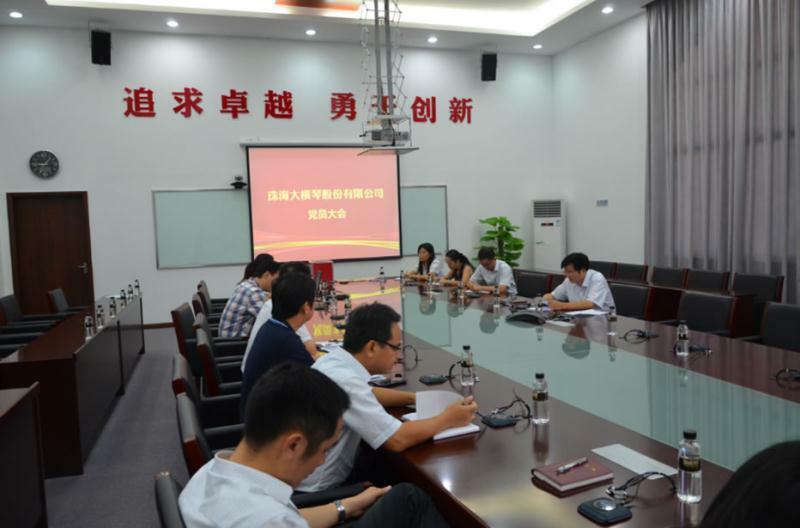 On 19th Sep 2014, Zhuhai Da Heng Qin Company Ltd. Communist Party Branch Meeting was convened, which hosted by Mr. Xiao Shihui, Party Committee of Da Heng Qin Group. A group of Branch Committee Member and Party Branch Secretary were elected. It is marked that Zhuhai Da Heng Qin Investment Co. Ltd has stepped in a right path. The Party Branch will enhance organization structure, improve party cohesion, and become a stronghold for implementing party policies and finishing party missions.